It has been an action packed two days. Orienting yourself to life on a research ship is not a trivial task. Navigating the up vs. down staircases, narrow hallways, and trying to figure out where everything is located has been a bit of a challenge. Even after months of preparation, it is hard to know what life on the ship will actually be like. The JR truly is an amazing research vessel; a state of the art floating laboratory. Work on the JR would be impossible without collaboration and teamwork, and it is very heartening to see how truly excited the ship crew, technical staff, and science party are about this expedition. Since boarding the JR, we’ve heard a presentation on the scientific objectives from the co-chief scientists, Sean Gulick and John Jaeger. The dynamic between the co-chiefs and the rest of the crew is pretty amazing; the level of enthusiasm and impending collaboration amongst the team is palpable. 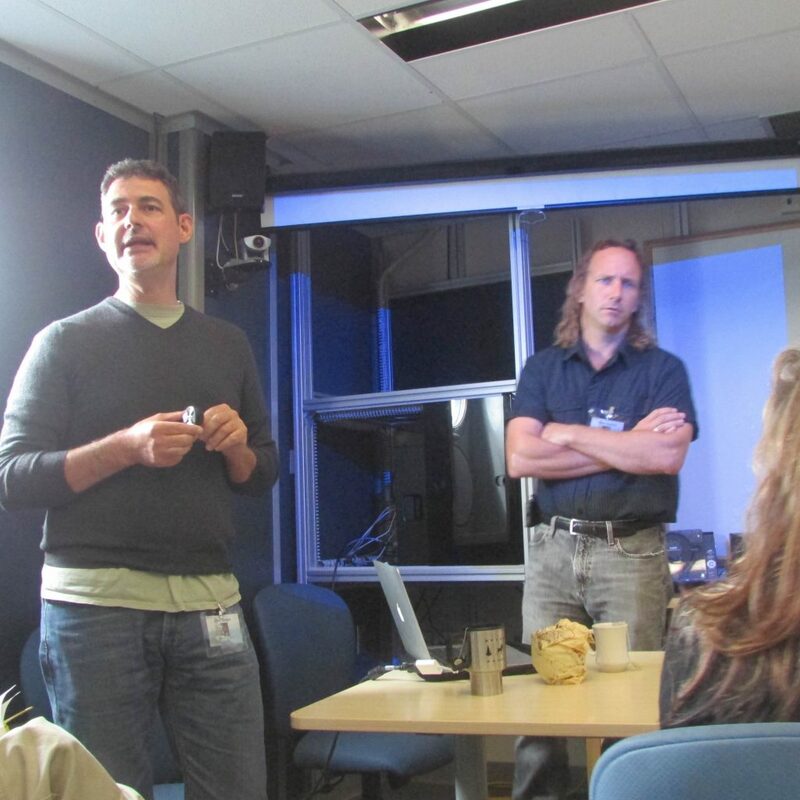 The idea for an IODP expedition to S. Alaska was born over 10 years ago, and most of the scientists on board have been waiting for over 2 years to sail on Expedition 341. One of the really exciting aspects of this expedition is that it will link field investigations in the Wrangell-St. Elias region of Alaska to the offshore environment, i.e. sediments that lie beneath the ocean floor. When viewed together, onshore and offshore investigations will give the scientists a more complete picture of the relationship between global climate shifts and associated erosion caused by glacial advance and retreat, and the effect on the growth of the mountains in Southern Alaska. Up next: Captain’s safety talk, followed by a 12:00 departure! We are ready to go! !